We are delighted to welcome you all to our Community Fun Day. There will be food and drinks, activities, music and of course SPORT! 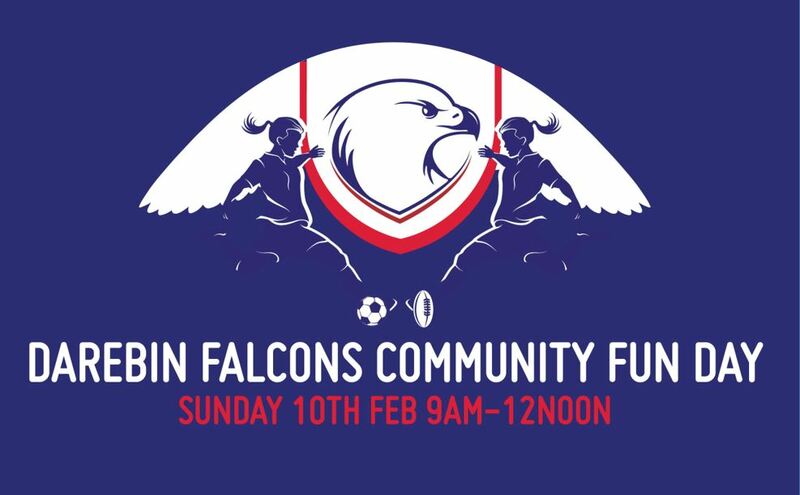 We will be hosting ‘come and try’sessions for AFL (10.30AM) and Soccer (9.15AM). Girls and women of all ages are welcome. Please come along and spread the word widely among your networks – see flyer below. New players are always needed at all levels so this is a great chance to recruit players to the Falcon family. A special feature of the day will be the Welcome to Country at 10.15am and unveiling of our Traditional Owner Acknowledgment sign to be attached to the club rooms. Other activities include a live band, bbq, YMCA interactive activities, a jumping castle, face painting, a stall from our new friends at Bod Kombucha, and of course, coffee! So a great morning is planned!